Most people feel anxious, depressed or irritable at times. But for some people experiencing anxiety, depression or irritability can be constant and extreme. In this case, the mood swings can interfere with your relationships, your job, and other aspects of your life. It can be especially stressful when you experience drastic mood swings, feeling fine one minute and anxious or depressed in the next. Many of those who suffer from these mood swings either do not have access to care or the treatment they receive is inadequate. Medications commonly prescribed for anxiety and depression often have numerous, unwanted side effects. In fact, mood swings can become even more extreme in certain cases. Fortunately, optimizing levels of certain nutrients is a natural strategy to improve mood swings. Important nutrients for optimal brain function and emotional support are magnesium, vitamin D, omega-3 fatty acids, vitamin C, iron, selenium, iodine, zinc, B vitamins, and amino acids. Correcting any deficiencies of these nutrients can improve or even eliminate your symptoms in some cases. Adaptogens, neurotransmitter precursors, probiotics, and exogenous ketones can all work to improve mood swings.Following an anti-inflammatory diet and addressing underlying causes of poor nutrient absorption are also critical steps for improving mood issues. Anxiety and depression are the most common mental health issues in the United States. Often experienced together, 40-60% of people with anxiety have signs of depression. It is very common for people who have anxiety or depression to also experience drastic mood swings. Anxiety is a term used to describe feelings of worry, nervousness, fear, apprehension, or unease. It typically involves an imminent event or something with an uncertain outcome. While feeling anxious is a natural response to stress, for some people the feelings of anxiety are extreme, last for longer than six months, and interfere with their life. Anxiety disorders are the most common mental illness, affecting over 21% of adults in the United States (1). Depression affects how you feel, the way you think, and how you act. It is a mood disorder characterized by feelings of sadness, low mood, and/or a loss of interest in activities. Depression inhibits a person’s ability to function and leads to emotional and physical problems (2). Around 20% of adults and 9% of youth in American have depression or other mental health condition (3). The World Health Organization (WHO) estimates that by the year 2020 depression will be the second leading cause of disease worldwide (4). Most people who suffer from mental health issues do not have access to care or do not receive sufficient treatment. Medications that are commonly prescribed for anxiety and depression have serious unwanted side effects and often can make mood swings worse. With the state of mental health in America, it is critical to look to alternative therapies for help. One of the most important strategies for good mental health is to consume an anti-inflammatory diet. A recently published longitudinal study found that a pro-inflammatory diet is associated with depression (5). Implementing an anti-inflammatory diet may reduce instances of mood swings. An anti-inflammatory diet is a plant-based diet including healthy fats and clean-sourced protein. This diet promotes mental health by reducing inflammation, stabilizing blood sugar, reducing your toxic load, providing critical nutrients, and supporting healthy blood pH levels. Anti-inflammatory foods are whole, unprocessed foods. These include a variety of low carbohydrate, low glycemic, colorful vegetables, fruits and herbs. Low glycemic fruits include lemons and limes, grapefruit, berries, and granny smith apples. Clean-sourced protein sources are grass-fed, pasture-raised meats and wild-caught fish. Healthy fats are a very important part of a healing diet. Healthy fats are found in coconut, olives, avocados, and their oils and in grass-fed butter and ghee. Omega-3 fatty acids and conjugated linoleic acid (CLA) found in wild caught salmon and grass-fed beef and dairy are fats with many health benefits. These healthy fats are an efficient source of fuel for the body to combat inflammation and support brain function. Running on fats for energy is a great way of targeting mood swings from a common trigger, blood sugar imbalance. Pro-inflammatory foods are refined sugars and starches and processed foods. Toxic fats such as trans-fats and processed vegetable and seed oils and conventionally-raised meat and dairy products are highly inflammatory. These foods increase blood glucose levels, upregulate inflammation, and create extra acidity in the tissues. This diet is extremely damaging to the body and to your mental health. A pro-inflammatory diet also lacks nutrients such as vitamins, minerals, and enzymes. Nutrient deficiencies area linked to anxiety, depression, and irritability. Let’s look at specific nutrients that are important for your mental health. Nutrients affect the structure and function of the brain (6). Vitamins, amino acids, and other nutrients are necessary for the synthesis of neurotransmitters and healthy brain chemistry. Important nutrients for optimal brain function and good mental health are magnesium, vitamin D, omega-3 fatty acids, vitamin C, iron, selenium, iodine, zinc, B vitamins, and amino acids. Adaptogens, neurotransmitter precursors, probiotics, and exogenous ketones can also improve mood swings. Magnesium is the “master mineral” and supports over 300 physiological processes or functions in the body. Around 68% of Americans consume inadequate amounts of magnesium. Magnesium deficiencies are linked to many health issues, including anxiety and depression (7). Stress and sleep deprivation can also contribute to anxiety and depression. 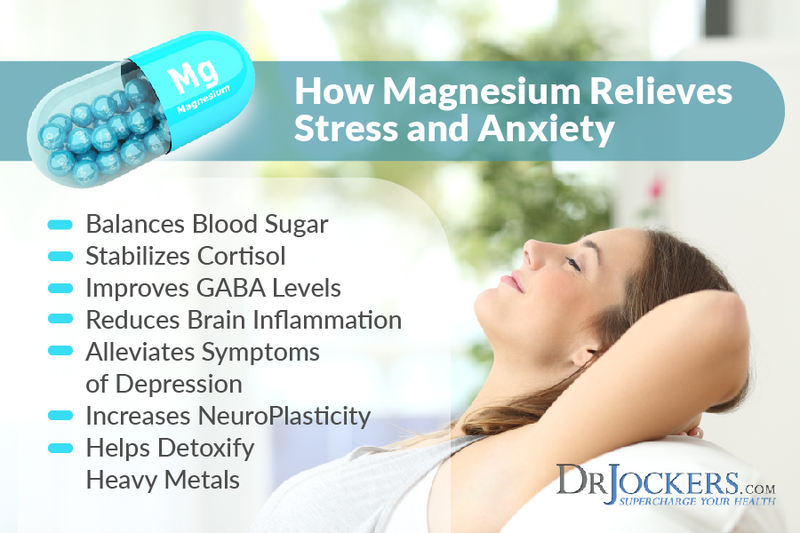 Magnesium helps to relieve stress and promotes sleep by balancing blood sugar levels and relieving physical tension. Magnesium also helps to regulate melatonin and GABA levels in the brain. The top food sources of magnesium are leafy greens such as Swiss chard and spinach, sea vegetables, sprouts, bananas and avocados. Grass-fed dairy and wild-caught fish are rich in magnesium. Pumpkin seeds, nuts, dark chocolate, and coffee are also good sources of magnesium. Brain Calm Magnesium contains the best forms of magnesium to improve brain function and neuronal health. This magnesium formula includes Albion forms of magnesium, malate, lysinate, and glycinate. Brain Calm Magnesium also contains magnesium L-threonate, the only form of magnesium proven to cross the blood-brain barrier. Boosting your magnesium level is critical to a healthy brain and balancing out mood swings. Vitamin D is an important factor in the prevention and treatment of many chronic illnesses, including anxiety and depression (8). Most people in the United States have insufficient levels of vitamin D.
D3 is the biologically active form of vitamin D. It is more potent in raising and maintaining vitamin D concentrations than D2. Vitamin D3 is created in your skin in response to sun exposure. Aim to get 15-20 minutes of sun exposure daily. The best dietary sources of vitamin D are wild-caught salmon and fatty fish, cod liver oil, grass-fed butter and raw cheese, egg yolks, mushrooms, and beef liver. The ideal range for vitamin D3 levels is between 50-80 ng/ml. It is important to keep vitamins D3 and K2 in balance which can be done by taking a Vitamin D3/K2 supplement such as D3/K2 Power. 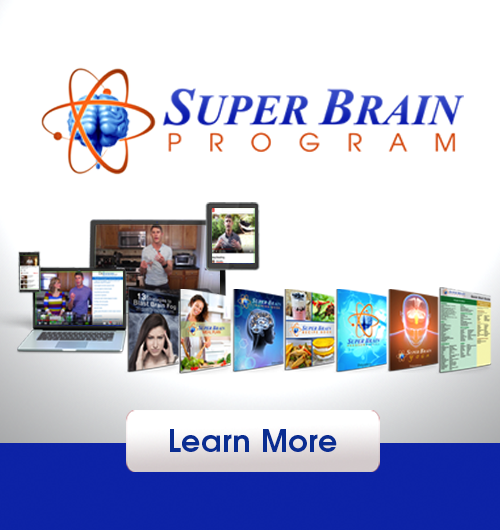 The brain is one of the organs with the highest level of fats (or lipids). The brain is largely composed of fatty acids, a third of which are omega-3s. One of the most common nutritional deficiencies in people with mental disorders is omega-3 fatty acids (4, 9). Omega 3s are essential fats with wide-ranging health benefits. 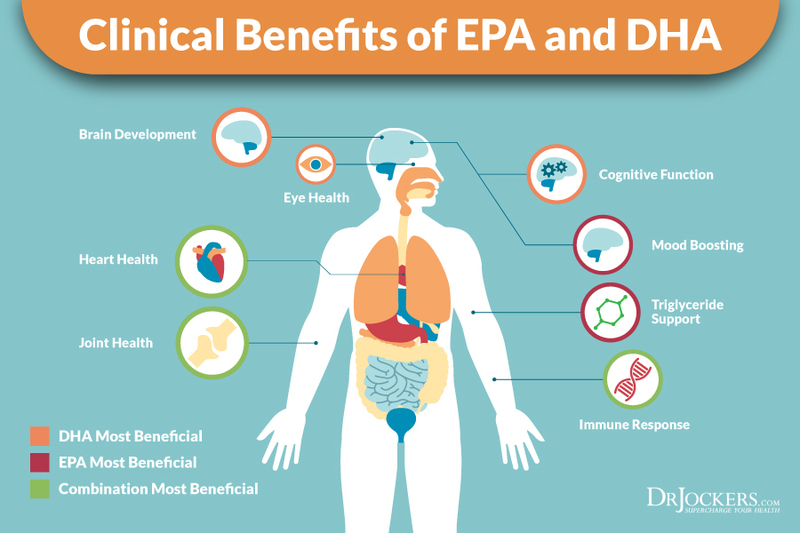 The two omega-3 fatty acids EPA and DHA have been found to have antidepressant effects. Omega-3 fatty acids benefit the brain by reducing inflammation and promoting communication processes. Omega-3 fatty acids are found in fatty fish such as wild-caught salmon and sardines, grass-fed meats, pasture-raised eggs, nuts (especially walnuts), and seeds (flax, hemp, pumpkin and chia seeds). It can be difficult to maximize your levels of omega-3s with food so supplementation may be beneficial. An excellent supplement with omega-3 fatty acids is ProOmega CRP. ProOmega CRP has 1260 mg of EPA and DHA, concentrated Omega-3 fish oils. It also contains Optimized Curcumin, L-Glutathione, and N-Acetylcysteine (NAC). This unique combination makes ProOmega CRP one of the most powerful supplements available for down-regulating inflammation and oxidative stress quickly. This can help improve your mood swings. Vitamin C is a vital antioxidant in the brain. It is necessary for proper functioning of the nervous system. Deficiencies in vitamin C are common in people with depression and anxiety (10). Vitamin C improves anxiety by regulating neurotransmitter activity, preventing stress-induced oxidative damage, and antioxidant defense in the brain. Vitamin C exerts an antidepressant-like effect through several mechanisms including activating the serotonin and GABA receptors. Doing so can help to stabilize emotions and help prevent mood swings. Vitamin C is found in citrus fruits, like oranges and lemons, and in peppers and broccoli. To boost your intake of vitamin C through supplementation, Super C combines high-potency vitamin C with a natural citrus bioflavonoid complex. This combination works synergistically to provide broad spectrum antioxidant protection and to support neurotransmitter function. Iron is an essential mineral for the synthesis of neurotransmitters and myelin. It is necessary for transporting oxygen around the body and producing energy in the functional tissue of the brain (9). When you don’t have enough iron in your system, you risk developing anemia or the under production of red blood cells. Symptoms of iron deficiency anemia are fatigue, irritability, difficulty concentrating, headaches, coldness in the hands and feet, and brain fog. Common causes of iron deficiency are a poor diet, blood loss, the decreased ability to absorb iron, and pregnancy. Selenium is a trace mineral that is important for protecting brain cells and improving brain function. Increasing your intake of selenium may improve mood swings (9). Many of the symptoms of depression and anxiety are also symptoms of thyroid disorders. An underactive thyroid can make you feel depressed, fatigued, and cause brain fog. An overactive thyroid can cause anxiety and insomnia. Selenium is an important nutrient for healthy thyroid function. Brazil nuts are the best source of selenium. Other sources include organ meats, wild-caught fish, pasture-raised turkey, chicken, and eggs, and mushrooms. ThyroLiver Protect contains selenomethionine, an amino-acid bound form of selenium and several other nutrients to support the liver including milk thistle, alpha lipoic acid and N-acetyl cysteine. Conversion of the thyroid hormone T4 to the active form T3 occurs in the liver, so it is important for thyroid function to support the liver. This can improve related symptoms of anxiety, depression, and irritability. Iodine is a mineral that plays an important role in mental health (9). It is an essential component of the thyroid hormones T3 and T4 and is critical to healthy thyroid function. The iodine provided by the thyroid hormone ensures the energy metabolism of brain cells. Having adequate amounts will go a long way in helping to prevent mood swings. Symptoms of iodine deficiency are depression, fatigue, dry skin, cognitive decline, and other health issues. There are food sources of iodine including seaweed, wild cod, cranberries, grass-fed dairy, and pastured eggs. Zinc is an important mineral that is essential for brain function (11). It has antioxidant properties and protects brain cells against damaging free radicals. It also contributes to proper production of thyroid hormones, increases conversion of T4 to T3, and improves cellular sensitivity to thyroid hormones. Studies show that zinc levels are lower in people with depression and anxiety (9). This may be due to imbalances in the ratio of zinc to copper. These two trace minerals must be in proper balance to maintain health. 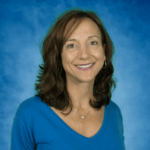 For more information about zinc and copper imbalances and the impact this can have on anxiety and depression, check out this article. Grass-fed beef and dairy, salmon, chicken, spinach, and asparagus are high in zinc.Nuts and seeds such as cashews, almonds, pumpkin seeds, and watermelon seeds are also high in zinc. It is best to soak or sprout nuts and seeds to reduce the level of phytic acids which can adversely affect zinc levels. Adequate amounts of B vitamins are essential for brain function. Deficiencies in B vitamins are common in people with mental disorders (9). Researchers have found that people who do not get enough vitamins B6, B12 and folate have a higher risk of depression (12). Supplementing with vitamin B12 can significantly improve depression and mood swings. Vitamins B6 and B12 are essential for creation of neurotransmitters, chemicals in our brains which affect mood. Without enough of these vitamins, your production of neurotransmitters could be inhibited. Good sources of vitamin B6 are beans and peas, meats, wild-caught fish, pastured chicken and turkey, green leafy vegetables. Vitamin B12 is found in animal products such as grass-fed beef, wild-caught fish, eggs from pastured chickens and grass-fed, raw cheeses. Folate is a naturally occurring B vitamin that has been linked to depression. Folate is needed in the brain for the synthesis of norepinephrine, serotonin, and dopamine (13). Foods high in folate include spinach, beans, broccoli, beef, fish, cheese, and eggs. B Strong is a vitamin B complex which includes vitamins B1, B2, B3, B5, B6, B12 (as methyl-cobalamin) and the bioactive forms of folate. This combination of B vitamins supports healthy mental function and mood. Amino acids are the building blocks of protein. Many of the neurotransmitters in the brain are made from amino acids (9). Neurotransmitters are your brains messengers that control your mood, appetite, energy levels, and other functions in the body. Neurotransmitters are affected by the foods and nutrients that you consume. The neurotransmitter dopamine is made from the amino acid tyrosine and the neurotransmitter serotonin is made from tryptophan. If there is a lack of these two amino acids, there will not be proper synthesis of the respective neurotransmitters. This deficiency is associated with low mood and aggression (9). Studies show that amino acids such as tryptophan, tyrosine and phenylalanine could be helpful in treating depression. (4). Amino Strong is a combination of amino acids which includes tryptophan and phenylalanine. Adaptogens are a natural, effective way to reduce anxiety and depression. These substances that have a balancing effect on the hypothalamic-pituitary-endocrine axis which is necessary for a healthy mood. Adaptogens boost the body’s ability to deal with stress and have hormone-balancing properties. Effective adaptogens for anxiety and depression include rhodiola, Asian ginseng (Panax ginseng), ashwagandha, cordyceps, astragalus, and holy basil. These adaptogens have anti-anxiety, anti-depressant effects. Ashwagandha is one of the most popular adaptogens. It has the ability to regulate cortisol, your stress hormone. By stabilizing your body’s response to stress, ashwagandha can reduce anxiety and depression(14). Cortisol Defense is an herbal supplement with lemon balm, ashwagandha, L-theanine, banaba leaf, and maral extract. This multifunctional formula can support healthy cortisol levels, promote mental clarity, help alleviate occasional fatigue, and support relaxation and restful sleep. This can be helpful for relieving mood swings. GABA or gamma-aminobutyric acid, is the predominating inhibitory neurotransmitter in the brain. It prevents overstimulation and promotes calm. There is a link between GABA deficiency or dysfunction and both anxiety and depression. GABA is known as the anti-anxiety neurotransmitter, and anxiety is the most commonly recognized symptom of low GABA. Depression may also arise from a deficiency in GABA, which throws glutamate and GABA out of balance. GABA works with glutamate to regulate brain cell activity. Glutamate is the brain’s major excitatory neurotransmitter and GABA is the brain’s major inhibitory transmitter. Glutamate is the “gas petal” stimulating brain cells to fire, and GABA is the “brake”, dampening excitability once the work is done (15). If there is a poor conversion of glutamate to GABA, mediated in part by magnesium and Vitamin B6, then glutamate overstimulation can contribute to a burn out and mood swings. Mood Protect is an advanced formula which contains GABA and 5-HTP. 5 HTP is the precursor to serotonin and is important for a sense of calmness and relaxation. Mood Protect may improve anxiety, depression, and irritability. Your brain and gut are intricately connected. The gut is in constant communication with the brain and is often referred to as the “second brain”. The nerve cells in your gut manufacture the same neurotransmitters as the brain including 80-90% of your serotonin (16). There is a link between your microbiome and positive mental health. 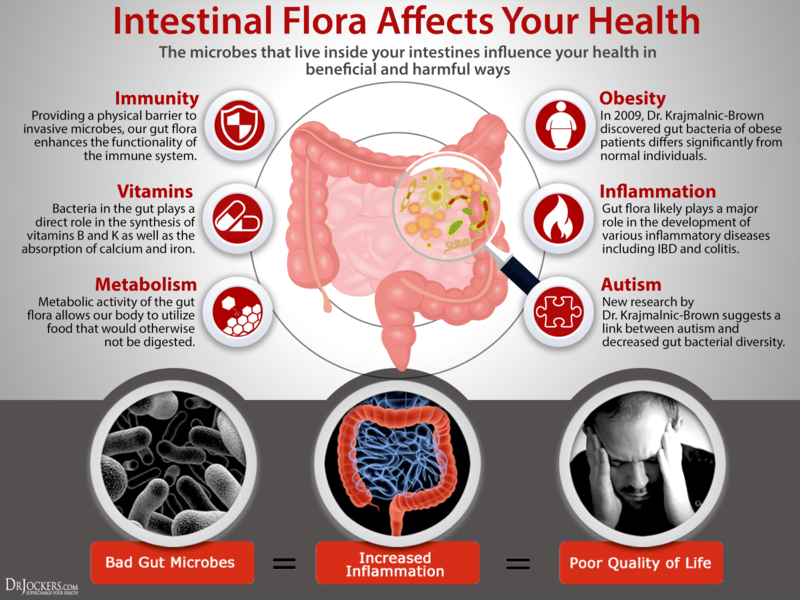 Probiotics can influence brain health through numerous direct and indirect pathways. One of these pathways is by mediating the glycemic impact and mood related effects of an inflammatory diet (16). ProbioCharge features a propriety combination of different probiotic strains of microorganisms. Introducing the right type of probiotic strains daily is a powerful way to regulate your gut health. 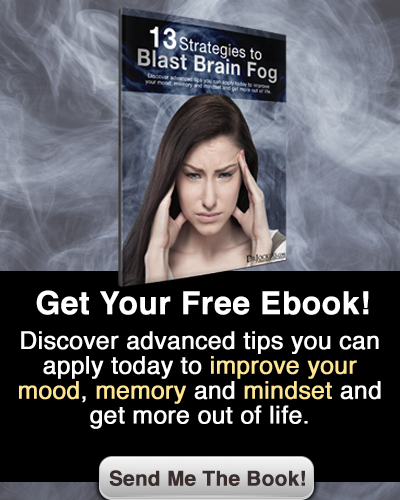 This can help improve your brain health and reduce mood swings. Ketones are a byproduct of fat metabolism and a powerful source of energy for your cells. To use ketones for fuel, a person must remove dietary carbohydrates so that their body will burn fat for fuel. The body converts fat into ketones which are transported to the cells for energy. 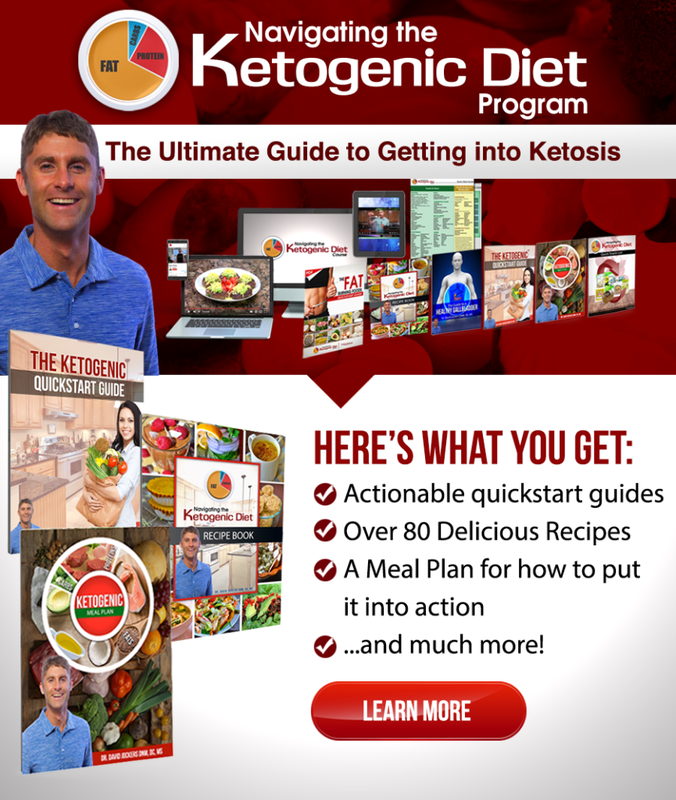 Exogenous ketones are a dietary supplement that can provide direct fuel for your cells. Ketones provide steady, clean fuel to energize your brain cells and improve your mood. They have been studied to reduce anxiety in mice and thousands of case reports of people all over the world (18). The reason for this is that ketones inhibit the genetic pathways that amplify inflammation in the brain and help to balance the glutamate to GABA ratio in neuronal cells. KetoEdge is a revolutionary product that contains exogenous ketones, MCT powder, sunflower lecithin (to support brain and nervous system function), amino acids, and superfood mushrooms. KetoEdge improves brain function and the body’s ability to resist, adapt to, and recover from stress more effectively. It is also full of powerful antioxidants which can protect the brain from oxidative stress. Together the ingredients in keto edge may give your brain the support it needs to help prevent mood swings, especially those due to inflammation and blood sugar issues. In addition to poor diet, there are numerous causes of nutrient deficiencies. 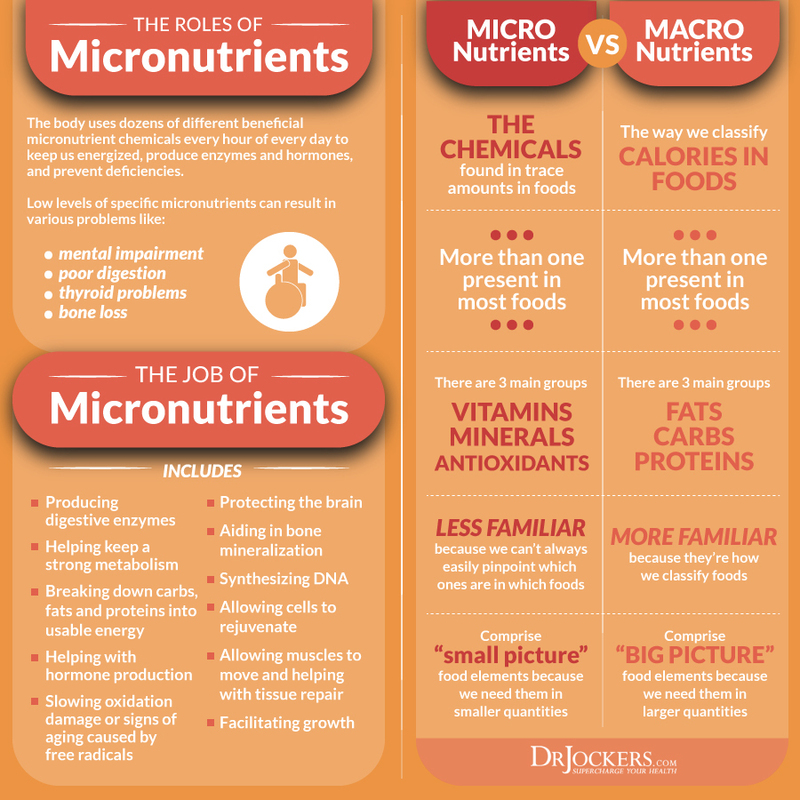 It is important to address these underlying issues to improve nutrient absorption and correct deficiencies. Stomach acid and digestive enzymes are important for absorbing nutrients from food. Both play a critical role in digestion and nutrition assimilation. If your body is not producing enough stomach acid, you may not have optimal absorption of nutrients (17). Low stomach acid creates a cycle of poor digestion, gut inflammation, microbial overgrowth, leaky gut, elevated stress hormones and decreased nutrient absorption. Two excellent supplements for optimizing digestion and nutrient absorption are Acid ProZyme and SuperDZyme. Acid ProZyme contains a variety of compounds which support gastric acidity, digestion and normal gastrointestinal flora. SuperDZyme has a wide variety of bioavailable enzymes and survives in a wide pH Range, such as that found in the stomach and small intestine. The lining of the gut regulates the absorption of nutrients from food. This lining is only one layer of cells thick with tight junctions that allow only certain things to pass through to the bloodstream. 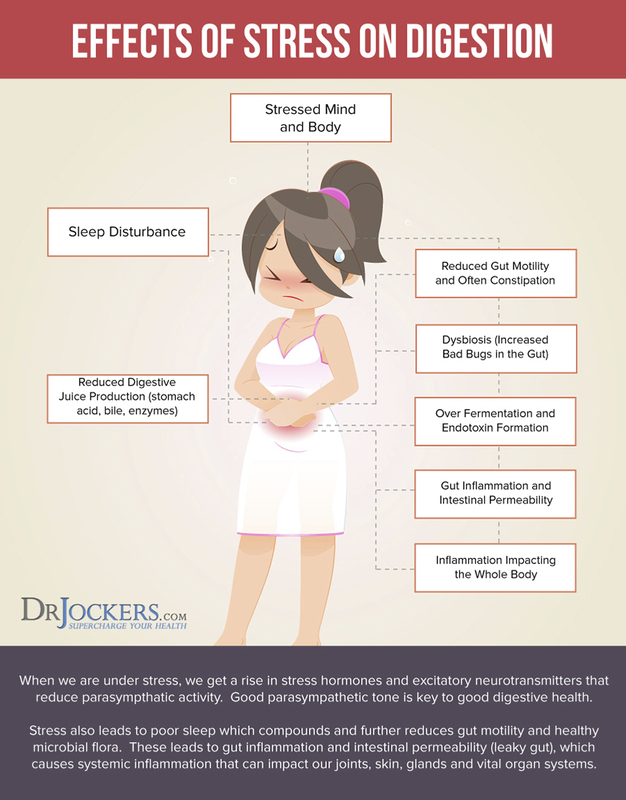 Leaky gut syndrome is caused when this cell lining is damaged due to the consumption of GMO foods, pesticides, chlorinated water, antibiotics, and processed foods. As a result, the tight junctions become loose and larger food molecules can enter the bloodstream. 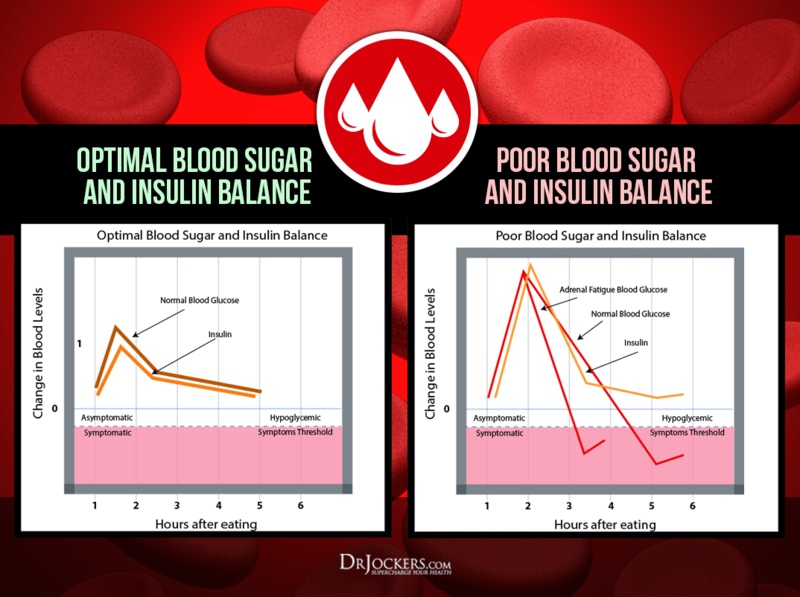 When cortisol is constantly spiking due to blood sugar imbalances, your body has a decreased ability to make digestive enzymes. Digestive enzymes are critical to the absorption of nutrients from foods, so blood sugar imbalances lead to nutrient deficiencies. High Energy Support is a multivitamin/mineral formula with a balanced profile of nutrients that can help balance blood sugar levels. The micronutrients in High Energy Support are provided in bioavailable form so they can be better absorbed and utilized. In addition to balancing blood sugar levels, High Energy Support improves energy levels, improving detoxification, protects the body from oxidative stress, and supports a healthy mood and mental clarity. If you are suffering from mood swings, you can test for nutrient deficiencies. The SpectraCell Micronutrient Test measures functional deficiencies of micronutrients at the cellular level giving a comprehensive nutritional analysis. This extensive test assesses how well the body utilizes 33 vitamins, minerals, amino and fatty acids, antioxidants, and metabolites. The SpectraCell Micronutrient test can help you determine which nutrient deficiencies may be contributing to your depression, anxiety or other mood disorders. Anxiety, depression, and irritability are common mental health issues with potentially devastating effects. Deficiencies in key nutrients can contribute to these issues as well as mood swings. Nutrients that are essential for brain health include magnesium, vitamin D, omega-3 fatty acids, vitamin C, iron, selenium, iodine, zinc, B vitamins, and amino acids. Correcting any deficiencies of these nutrients can improve or even eliminate your mood swings. Incorporating adaptogens, neurotransmitter precursors, probiotics, and exogenous ketones as healing strategies can also provide emotional support. It is critical for your mental health to follow an anti-inflammatory diet and address underlying causes of poor nutrient absorption. Incorporating these strategies can be effective for improving anxiety, depression, and irritability.